Taking care of your body & mind shouldn’t take hours a day, be confusing and stressful, or require hours of meditation and crazy diets and Modern life isn’t cut out to support and nurture your ‘best’ life-it’s set up to keep you fairly content and distracted. Over-scheduled, multitasking, being ‘efficient’ and fitting in more things into a smaller amount of time is the new expectation for ‘normal’ people and as women we are expected to be able to ‘do it all’ and make it look easy. But it’s not ‘normal and natural’ for your brain or your hormones. Our brains and bodies haven’t caught up to the demands of modern life. Finding a way to ‘detox’ from toxic stress at brain and also body level is the only way to bring balance back. The problems and symptoms of our generation aren’t solvable by just eating more veggies, popping a pill (or vitamin!) or doing yoga (which is still great for you though!). The reason these things alone don’t work is that they do not remove the ‘brain stress’ driving many of these issues in modern life and wreaking havoc on our energy levels and hormone balance. That is why working on things from a brain resilience angle is so key. Once upon a time your brain and body existed in a natural state of calm most of the time. Like other animals, we only activated our stress response when we were being chased by a sabertoothed tiger, then were able to flip the switch instantly back to ‘rest and digest’ after the threat had passed. But because of the constant brain bombardment by low grade constant stresses of modern life our brains get confused and turn on our ‘fight or flight system’ constantly. We are ‘over-connected’ to our devices, instant email and social media apps competing constantly for our attention. Then there is the need to multitask to keep up at work AND still have a social life. This is our reality. So we end up doing everything on warp speed. We do it often fuelled by ‘fake energy’ from sugar and caffeine which sends ANOTHER signal to your brain that you are in danger and pumps out more stress hormones into our brains and bodies, fuelling the vicious cycle of brain stress = body symptoms. Brain stress drives problems that show up in your body. There are low resilience markers that we can see on a brainmap that impact everything from your stress, anxiety and overwhelm level to your actual hormone balance, mood, energy levels and sleep. We can actually see this now with modern brain scanning MRI and qEEG technology, which we use to brainmap clients and is one of the best tools available to ‘measure and see’ brain stress effects. So getting rid of THIS ‘root cause’ of symptoms is just as important as the foods you choose or the supplements you take and in the long run it’s even MORE important. Your Brain is the master control switch for your hormone systems in the body. The brain ‘talks’ to your ovaries (for women), your adrenal & thyroid glands and your metabolic (weight control) centres. When the brain gets stuck in fight or flight ‘stressed’ brain mode, it sends the wrong messages and your body systems get out of balance. That’s when crazy periods, PMS, mood swings, weight gain, sleep problems, overwhelm, and constant fatigue start showing up. Many women suffer in silence from hormonal imbalances, bad periods, stress and fatigue, pre-period mood swings, skin problems, fatigue and problems losing tummy fat. As women we intuitively feel they are connected–and they ARE. It has to do with how our brains talk to our ovaries and body hormones. The hypothalamus is the body’s ‘master hormone control centre’. It is extremely sensitive to stress, stress hormones, changes in sleep, negative emotions, chemical residues in our food, medications and birth control pills. We now know that women who suffer with painful, heavy, irregular periods have differences in specific brain areas such as the prefrontal regions and left ventral posterior thalamus. That is why working on balancing hormones from both a brain and nervous system AND a diet approach is the only way to heal your hormones for good. Chronically high stress hormone levels causes the adrenal glands to ‘steal’ the common building block needed to make your progesterone in order to make more cortisol instead. If you set your brain up to be resilient using specific techniques to change the brain and rewire these toxic stress patterns, your brain will start ‘talking’ properly to your body and you won’t have to work so hard to stay well and symptom free you will be have more freedom with food (re: be able to ‘cheat’ a bit and live a little!) or having to take a handful of pills and supplements indefinitely to stay well. 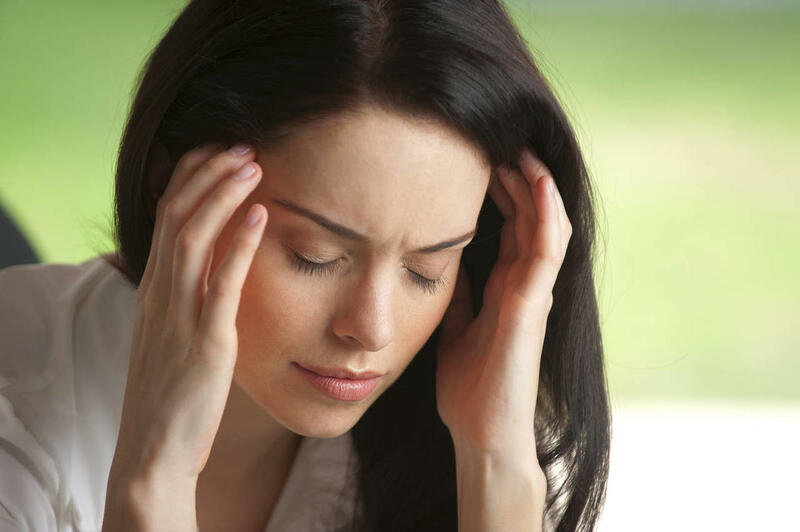 Women’s health related symptoms like low energy, bloating, nightmare periods or pms and anxiety may seem unrelated at the surface and this is part of the problem–western medicine treats them all separately with different pills to control each symptom, but doesn’t dig down to the core issues causing them in the first place. The daily low grade background stress from busy modern life combined with toxic environmental factors affects our body hormones and cortisol levels in both our brain and body. The brain and body’s stress response system ‘on switch’ can get stuck in the brain, causing dysfunction in the brain centres that control body hormones, energy levels and mood, such as the limbic system and hypothalamus. This leads to feeling ‘wired but tired’ like you are driving with the brakes on. Over time, we actually get USED TO FEELING THIS WAY.. it starts to feel normal. However, living in this state affects our women’s hormone balance, energy levels, adrenal and thyroid glands and our cycles. All of these issues are connected and need to be addressed together to return balance to our hormones and nervous systems. Estrogen dominance is when there is too much estrogen in the body and not enough progesterone to balance it. It makes you prone to carb cravings and weight gain and may make it harder to control negative emotions in the second half of your menstrual cycle making you feel bloated, moody and grumpy. It also contributes to irregular cycles, anovulation, fibroids and PCOS (polycystic ovarian syndrome). There is no drug cure for estrogen dominance, but there are ways you can help rebalance your body’s hormones naturally through using specific ‘functional foods,’ a hormone balancing diet and a few key supplements and then dealing with brain stress with specific mindbody practices and brain training. You can start to put your brain and body into a healing resilient state where the brain centres of stress, fear and worry, are turned off and your hypothalamus can start sending the right messages to your ovaries, thyroid and adrenal glands. Doing just food or just supplement approaches alone is rarely enough to completely solve the issue, without dealing with the brain stress factors and working on brain resilience to stress and the derailing effect on your hormones. Start Doing a 1-minute Mindbody meditation practice each hour during the day to interrupt brain stress loops and return the nervous system to a calmer state. We call these ‘Resilience Resets’. Lowering cortisol levels has a progesterone sparing effect which means less PMS symptoms! Try An Herbal Adaptogen good for women’s hormone balance such as Ashwaghanda-which you can take as a supplement or put the powdered form into a morning and lunchtime smoothie. Take a Caffeine and Alcohol ‘holiday’ for 4 weeks-these are 2 main disruptors of the stress system and can affect women’s hormone levels too!